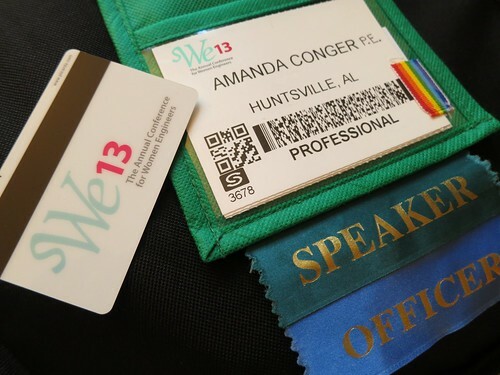 The Society of Women Engineers (SWE) Conference is always a highlight of my year. I've been attending, whenever I am able, since 2005, with the last one being in 2010. Conference is full of entirely much too much to pack into one blog entry, so we'll break it into pieces. The day the conference kicked off, I woke up entirely too early, got ready and was heading out the door when Jack knocked a plate off the counter. I swept up the big pieces, alerted a still sleeping hubby to the potential for impalement and ran out the door. By the time I made it to my gate everyone was already boarded and they were greeting me by name. Oops. 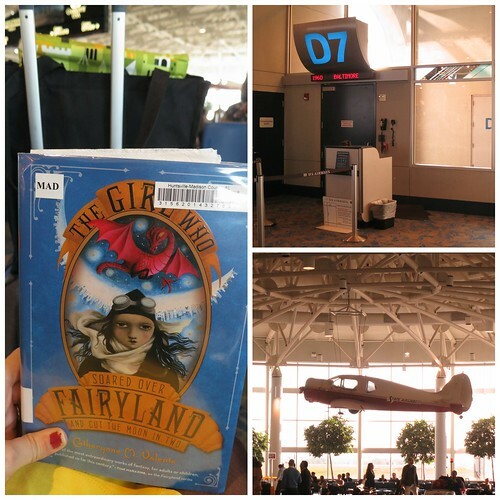 I had a brief layover in Charlotte where we played boarding gate shuffle, took a few pictures, and read in my book. Upon arriving in Baltimore, I was directed to the light rail. $1.60 got me dropped off directly next to the conference center where I registered myself and my three roomates, nearly losing my phone in the process. Thankfully, everything for my trip was on my phone so it took me about 3 minutes to realize I had left it behind. And even more thankfully, the registration desk had noticed and held onto it for me. 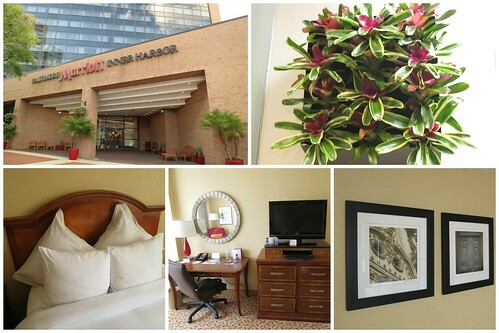 I then trundled my suitcase, tote bag, and 4 new conference bags back to the hotel. I was helped out along the way by a very sweet young lady who helped me carry all those bags!